Savant recently revealed plans for his ambitious 'Space Tour' which starts on February 20 and continues through late April 2014. Savant dropped his 20+ track album 'Orakel' late last year, which worked well for him, reaching the #1 position in Norway and #3 in the US iTunes Dance charts. On his upcoming Space Tour, Savant will perform many of the songs from ‘Orakel’, along with new works, some which may well have just been written. Additionally, Savant is offering up his 133 track discography to lucky fans who tweet pics of their Space Tour tickets. 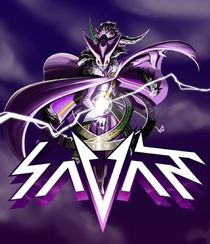 To get involved here, tweet him at @SavantOfficial. hey there and thank you for your info � I have certainly picked up anything new from right here. I did however expertise a few technical points using this site, as I experienced to reload the site a lot of times previous to I could get it to load correctly. I had been wondering if your web hosting is OK? Not that I am complaining, but slow loading instances times will often affect your placement in google and can damage your quality score if ads and marketing with Adwords. Well I am adding this RSS to my email and could look out for a lot more of your respective intriguing content. Make sure you update this again very soon.